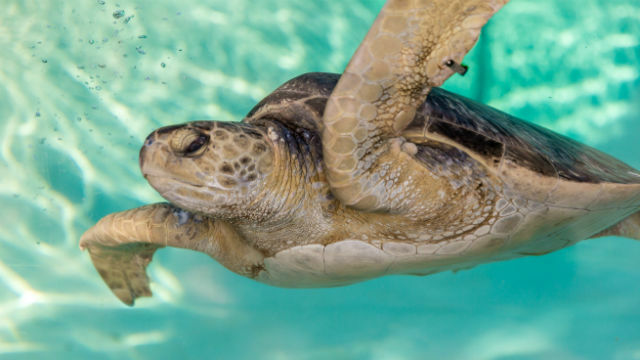 The Living Coast Discovery Center, a nonprofit zoo and aquarium located on San Diego Bay in Chula Vista, will host its annual Animals on the Bay Day on Sunday from 10 a.m. to 4 p.m. This is the only day of the year that the Living Coast offers free admission to all guests. Guests will have the opportunity to learn about local wildlife and conservation and participate in games, presentations, face painting, arts and crafts, prize raffles and more. Special guest presentations and activities will also take place throughout the day. In keeping with its mission, the Living Coast is encouraging guests to utilize public transportation to the event. A complimentary shuttle will pick up guests at the E Street trolley station and transport them directly to the Living Coast. Additional off-site parking is being made available at UTC Aerospace–Aerostructures at 850 Lagoon Drive, Chula Vista. Head to Ramona for the Air Fair and Fly. The event features vintage airplanes cars, live country music and a hot air balloon ride. The event, which runs from 9 a.m. to 4 p.m. Saturday, takes place at the Ramona Airport. Guests can also expect food and kid-friendly activities. The annual Grape Day 5K in Escondido will take place this Saturday The event, which will benefit the National Multiple Sclerosis Society, features a race or stroll down historic Downtown Escondido. The family-friendly event is $30 for age 17 and under and $45 for adults. The race ends with a festival at Grape Day Park featuring live entertainment, a chili cook-off and activities for the kids. For more information, go to www.GrapeDay5K.com. San Marcos will host a fall festival featuring more than 250 local crafters and artisans. Guests can also expect live music, food and kid-friendly activities. The free event runs from 9 a.m. to 5 p.m. Sunday on Via Vera Cruz between San Marcos Boulevard and Grand Avenue. Maker Faire San Diego returns to Balboa Park this Saturday and Sunday. This third annual science fair, which takes place from 10 a.m. to 6 p.m. on both days, features the most creative people and ideas in the region. Ticket prices start at $7 for children and $12 for adults. Want to partake in Halloween fun this weekend? Checkout our Halloween Guide for everything from beach events to pumpkin patches.